Asthma, Nasal Disease & Allergy Research Center of New England is an established research center, dating back 20 years with over 150 clinical trials performed, including over 60 asthma trials and 50 allergic rhinitis trials. 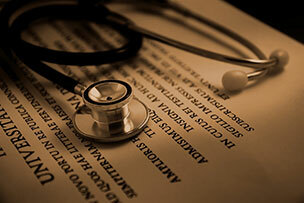 We pride ourselves on complete and accurate documentation as well as protocol adherence. Other areas of experience include bronchitis, sinusitis, influenza, GERD, and hypertension. Our Investigators include Russell A. Settipane, MD, Robert J. Settipane, MD and Alan D. Gaines, MD, all of whom are board certified in allergy and immunology, and each with over 20 years of clinical experience. Participants in studies are provided with relevant physical exams, appropriate testing, and study medications at no cost. Compensation for time and travel is also available. Current studies include medications for asthma, allergic rhinitis, urticaria (hives) and COPD. Please Call Roberta or Kerri at (401) 331-8426 for more information or to see if there is a study you may be interested in participating in.